The quiet town of Mayo, Florida has made its brand allegiance clear when it comes to salad dressings. 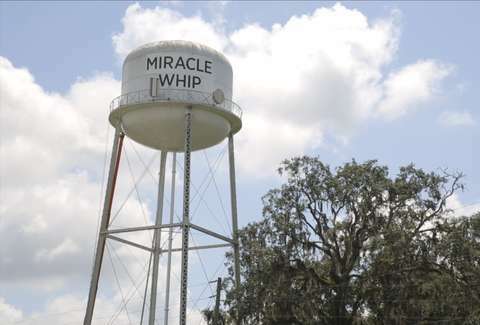 The town has changed its name to Miracle Whip for a few days, in an effort to draw a few laughs and reap a lump sum of cash from Kraft Heinz, which is orchestrating the marketing gimmick. For $25,000 in beautification funds and a chance to steal a few headlines, Mayo's officials took the opportunity to rechristen their town by naming it after an iconic faux-mayonnaise. But, as word travels fast in a town of relatively few inhabitants, the people of Mayo wised up to the obvious stunt, reports USA Today. Kraft Heinz intended to film the presumably gobsmacked reactions of the townsfolk watching Mayo become Miracle Whip, but no such gobsmacked-ness occurred. “Everybody knows everybody. It's been kind of difficult to keep everything under wraps,” Town Clerk Linda Cone told the paper. It's worth noting that the town isn't named after a condiment, but rather a Confederate Colonel named James Mayo. 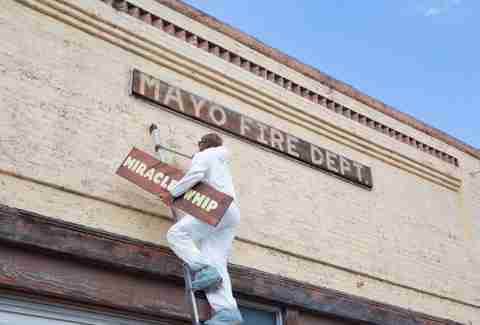 Miracle Whip will revert back to its original name in due time, city officials have assured. By that time, Kraft Heinz will have hoped that it successfully reminded about its salad dressing.